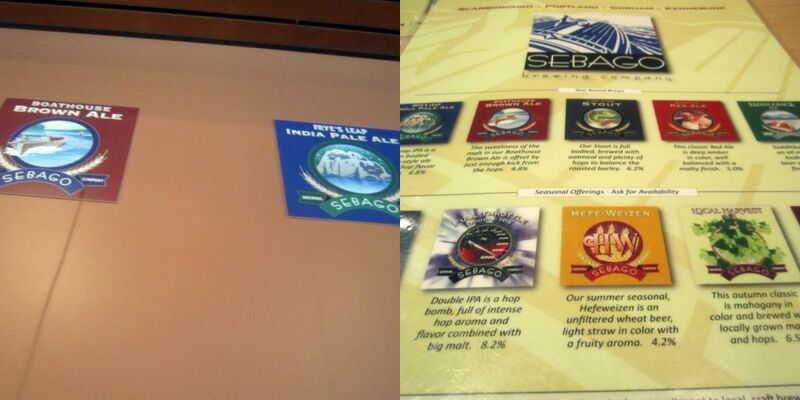 Sebago Brewing Company has four locations in Maine and serves craft and seasonal beers. 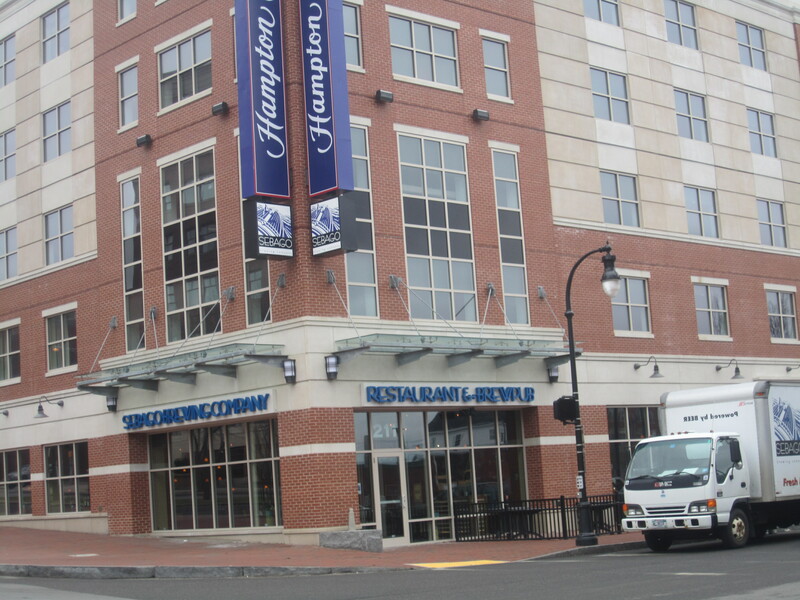 Their restaurant/bars serves pub fare including Maine lobster quesadillas, potato nachos, cajun dusted haddock bites, shrimp tacos, burgers and salads. 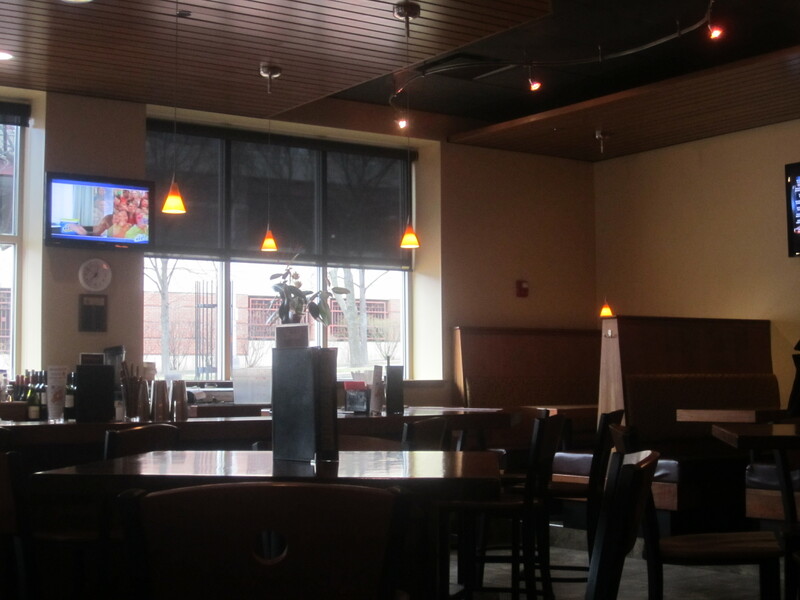 The brewery has been offering ipa, stouts, ales and an assortment of seasonal beers since 1998. 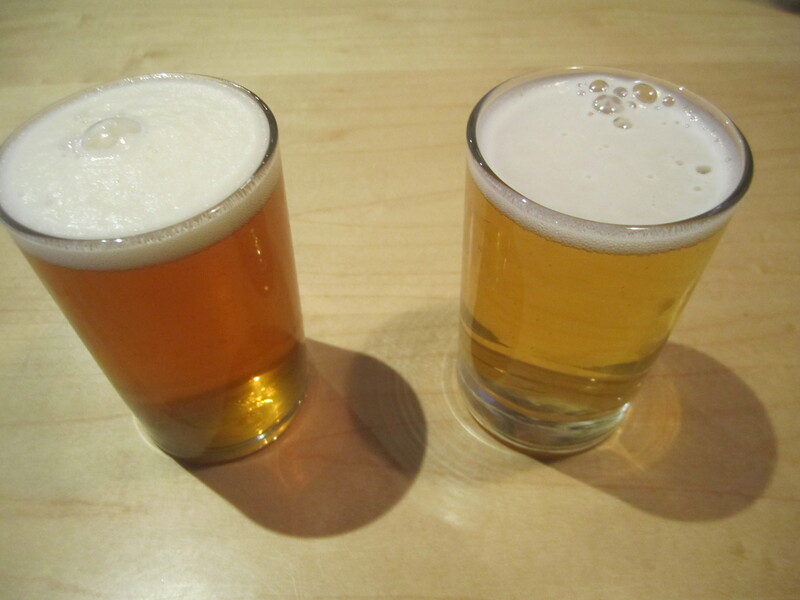 We sampled the IPA and Hefeweizen, which were both very tasty and refreshing with our meals. 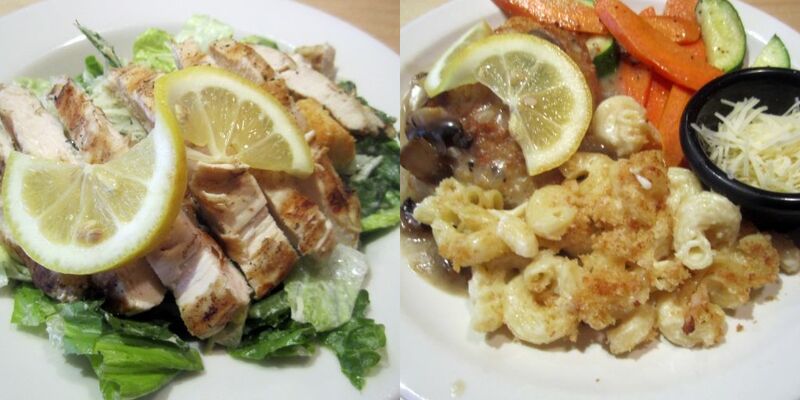 We split a Chicken Caesar the caesar dressing was run of the mill and topped with grilled, tender chicken and parmesan cheese. The Haddock New England Fresh baked haddock fillet was topped with sliced mushrooms, garlic butter, and a white wine sauce. The fish was very fresh, but the sauce was heavy. My favoirte aspect of the meal was the sides, the vegetables and creamy mac & cheese.